This is an interesting case to study in SEO: The Copyright Infringement Troll for "ranker" on the first page of Google's search has just appeared on a very popular request among professionals, which has not failed to irritate some well-known SEO players in France. Rightly so, because the Negative SEO does not cease to damage sites that try as best as they can to get out of it... The competition is so fierce! 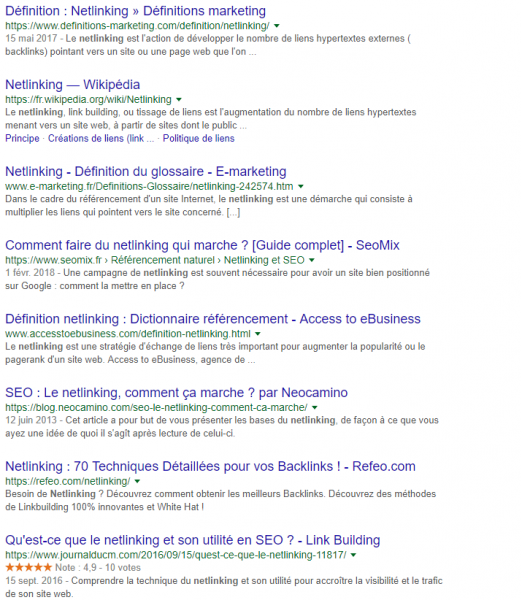 The keyword "Netlinking" is of great interest to SEO-Search Engine Optimization agencies and professionals and very often the best representatives of the profession are those who manage to position themselves on the requests inherent to this activity. To succeed in squatting the best positions in Google's search pages (SERP- Search Engine Result Page), all means are good and often the most borderline methods are the most effective, although many agree that nothing beats quality content (What we share). However, in terms of Negative SEO (SEO aimed at lowering the positions of competitors rather than raising its own), some do not hesitate to bring out the big guns. We ourselves were repeatedly the target of similar attempts. This is even the first time we have seen the Copyright Infringement Trolling method arrive for SEO-specific requests. Youtubeurs are well aware of this intimidating way of eliminating monetization and even encouraging the offline posting of videos: Specialized companies file complaints (often unfounded, but not irrelevant) about the illegal use of copyrighted material. For example, we received complaints about some of our videos for music that we would not have reported. Of course, this kind of troll only serves to discourage competitors and the situation quickly returns to normal once good faith has been demonstrated. 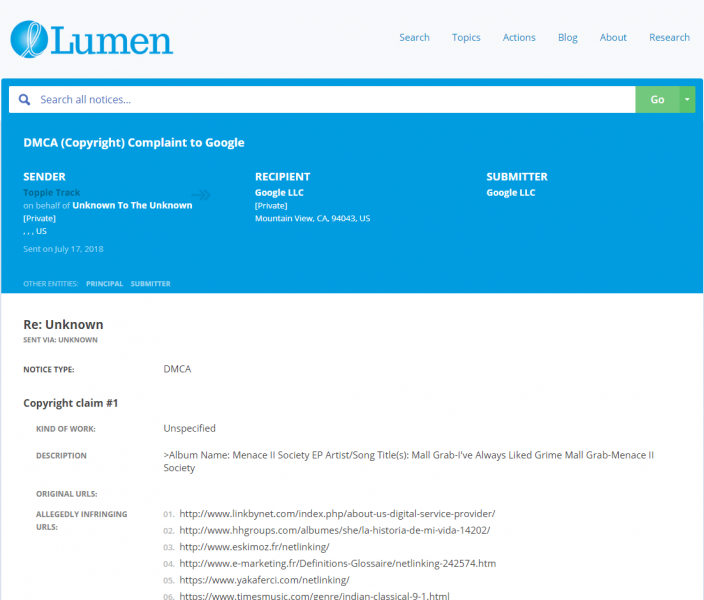 For websites, DMCA (Digital Millennium Copyright Act) complaints are an effective way to deter hackers from spreading links to download copies of copyrighted products. For example, some brands use and sometimes abuse this method to "push" alternative sources of supply away from their products. Film, music, but also software and video games are heavily pirated and their beneficiaries go through specialized companies to file massive complaints against any offender. In our case, it is not uncommon for us to receive notices for keywords related to downloading certain software (we are clean, most often the situation resolves itself). Except that it can take time and even if the after-effects are zero, the loss of revenue in terms of traffic can be significant. Here, the keyword "Netlinking" was therefore coveted by an as yet unknown actor. This troll therefore filed a complaint online (the form is accessible to everyone) via a company commissioned for the occasion (Toppletrack, on behalf of "Unknown to the Unknown"). And so it is 25 (!) sites that were more or less well positioned on the keyword "Netlinking" that disappeared from the first pages of Google. What is surprising, in addition to the lack of interest of the keyword itself, is that this recourse is doomed to failure in the long term because a simple Google check is enough to restore the situation. On the other hand, it does annoy victims (see above) who may well use the same methods to get revenge. An SEO scanning tool that identifies in real time your indexing and exploration errors. Offer yourself an online sales site with a professional design to develop your sales, conquer new markets and build customer loyalty.